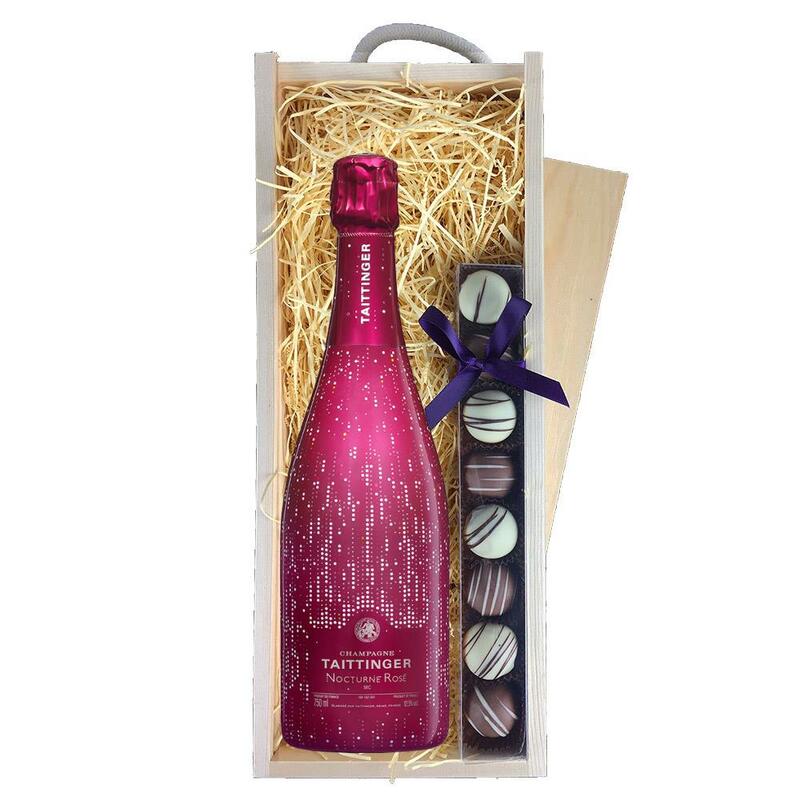 A single bottle of Taittinger Nocturne Rose City Lights Edition 75cl and a single strip of fine Hand Made Heart Truffles(100g) Presented in a wooden gift box with sliding lid and lined with wood wool with a Gift Card for your personal message. Taittinger Nocturne Rose City Lights Edition Champagne 75cl is a sec Champagne made to be drunk late into the evening. The slightly sweeter, less dry nature is what makes this truly is a party drink. Taittinger Champagne has accompanied its Nocturne Champagne with delicate bubbles of light. Luminescent inks evoke the movement and music of a city sparkling in the night. This product is hand packed onsite by Gifts International, and is not affiliated with any other brand. Gifts International is responsible for this product combination/set.